I come alongside others to listen in confidential, unhurried settings where your life and story are met with interest, respect, gentleness and compassion. I trust that God is present and active in all aspects of our lives. As a Spiritual Director, I come alongside others to listen in confidential, unhurried settings where your life and story are met with interest, respect, gentleness and compassion, trusting that God is with us in these conversations. Together we discover where God is in your story and nurture your friendship with God. I enjoy leading retreats where individuals and teams can step aside from the crazy busy noise and make room to listen to God. An area which I feel particularly passionate about is offering a safe place for pastors, spiritual directors and other soul care providers to have a place to listen and care for their own souls. Gazing up at the prairie blue sky, I just knew that God was up there. Somewhere. Somewhere just beyond my reach but still, always there. I wondered a lot about God as a child, I said my prayers at mealtimes and bedtime. Over time I memorized quite a bit of Scripture and knew the Bible well, but if I was honest, I was not convinced that God liked me all that much. In my early 30’s and in a season of immense change and mounting grief, God gifted me with an experience that I had always longed for; someone to really, truly listen to me. Formally, this experience was named Spiritual Direction, where two come together to listen for God’s voice and presence. Informally, it was a place deep within me where I knew I had come home and could honestly be myself, just as I was. My self-disclosure was met with interest, compassion, grace, gentleness, kindness, and a sacred reverence that I had never known before. I was not a problem which needed to be fixed but someone who needed to experience God’s unconditional love. I still recall hearing myself say in that first conversation, “This is love, and I don’t know how to love like this.” Having a safe place to talk about my inner life, which included God, changed me and the trajectory of my life. I became more honest with myself and others. I became aware of what I really felt, and gained courage to talk about these things with Jesus in my prayer. I found my voice. I learned how to place myself in God’s story revealed in the Scripture, and I learned to hear the voice of God – the tone of voice as much as the words. Shame eventually had less power. I discovered real peace, contentment, freedom, and hope. Less afraid to be alone, I began to welcome solitude and silence. I became motivated more by love and less by fear, and over time I came to truly know myself as the Beloved. Prayer, even if it seems empty and dry at times, has become a delight and as natural as my breath. From this anchored place in God, I gained clarity about what I value and how God and I partner together in renewing this world. My education began with a Bachelor of Commerce degree from the University of Manitoba and then I was employed as a senior divisional manager of a furniture manufacturing company for 10 years. During a 15-year Spiritual Direction apprenticeship with Rev. 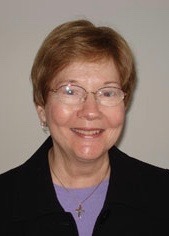 Jean Leih, the Founder of Restoration Ministries, I completed my Master’s Degree in Spiritual Formation and Leadership from Spring Arbor University in 2012. I was licensed for Pastoral Ministry in 2013. I completed my Supervision training with Together in the Mystery in 2018. In 2019, I will complete a 9 month internship in Clinical Pastoral Education where I have had the graced experience of learning to companion the dying and those who love them. I married my husband, Phil in 1988 and we have two grown children. We like to play together outdoors, particularly anywhere near water, forests or mountains. I enjoy reading, long walks, traveling, and creating with my calligraphy pens and ink. Kim is available for spiritual direction in person, by phone, email, Zoom, and Skype. One of my deepest joys is companioning others on their faith journey toward a deeper knowing of God and self. Nearness to God has been my lifelong heart’s cry and the reason my eight-year-old self wanted not only to be a water-skier, but to be a nun too. Yes, Houston, we have a problem—at least it seemed so to me. To that point in my young life, I understood God to be quite a serious Person, and I wasn’t sure where He weighed in on issues of fun and desire—yet these were the places I felt most alive. Faith drove me to that altar, but it was Love that held me there; Love that listened to my rants, and still drew me towards Himself; Love that told me the truth—that He really was not so heavy handed after all, and, by the way, that really was Him with me in the rowboat. Although my theology is most deeply rooted in my personal love relationship with the Lord, it is framed by my experience of God as Father, Son, and Holy Spirit. My childhood heart’s cry did not lead me to a convent, but it did, ultimately, direct me toward receiving my MATS degree at Bethel Seminary in 2010. Conversations with my Spiritual Director have been a vital, life-giving part of my adventure in knowing the Lord, others, and myself more accurately and more intimately. One of my deepest joys, along with spending time with my family and friends, writing, playing outdoors, and cheering for the Minnesota Twins, is companioning others on their faith journey toward a deeper knowing of God and self. I completed my training in Spiritual Direction at Christos Center for Spiritual Formation in 2013, having sensed God’s call to this ministry shortly after completing my Seminary education. I knew it must be the Lord because it tugged at my heart with the same joy and sense of adventure I felt all those years ago in that little faded fishing boat...a tug that told me that a fresh spray of living water was headed in my direction. Brenda is available for spiritual direction in person. The choice to more fully live life-with-God was not one I could not have found on my own alone. For over six years I have been fortunate in living out the spiritual gift of being a Spiritual Director at Restoration Ministries. Companioning another in discovering and being open to God’s presence is the role of a Spiritual Director. This special relationship----either one-with-one or in a group setting--is about savoring the awareness of God’s presence and letting it develop into a deep, authentic relationship. It is about allowing that ongoing relationship with God to become transformational. The “help” I provide comes in many forms and essentially allows time for listening, questioning, and reflecting to bring clarity of an experience that tells us that God is near. This process is life changing! I know from personal experience. I was introduced to spiritual direction over 15 years ago while going through a difficult period of doubt, stress, and indecision. On the outside, my life seemed good but inside it was messy. My spiritual director listened well and helped me identify God’s movement within the crisis. Although that particular life story is now over, I have continued in meeting with a spiritual director as our time together assists me in becoming more aware of the significance of God’s interactions within me, growing in my relationship with God and living my life more fully as He created me to be. It also introduced me to other spiritual practices that allowed me to live more moment-to-moment with God in the midst of daily life. Debbi received a BA and MA in Education from Bethel College and a Certificate in Spiritual Direction from Christos Center for Spiritual Formation. At Restoration Ministries I serve as a spiritual director, board member, retreat facilitator, “Creative Journaling as a Contemplative Practice” class leader and a guide for a “Women in Ministry” listening group. Before retirement I worked as an educator for over 30 years within the public school system at the classroom, school, district and state level. Debbi is available for spiritual direction in person. With each person I meet, I am reminded of God’s involvement in all of life. I believe that throughout my life God has been preparing me for the ministry of Spiritual Direction. In my early childhood in downtown Minneapolis, through college, and in each of my work and personal experiences, I have been challenged to recognize Gods presence in my life. At times my relationship with God has felt solid, at other times I felt far removed and longed for a deeper relationship with the triune God who is my Creator, Savior, and Sustainer. I worked for 35 years in corporate America where my positions ranged from computer programmer to project lead to middle manager. In each position my underlying concern was for the welfare and spiritual lives of my coworkers. God eventually called me out of corporate life and I entered Luther Seminary where I graduated with my MA. After graduation, I realized my spiritual journey into a deeper relationship with God was only beginning. I sought Spiritual Direction to help me discern where the journey might lead. As a result I began and completed my training as a Spiritual Director through Christos Center for Spiritual Formation. Now my passion is to listen to the life stories of people and discern with them how God has been and continues to be present in their lives. With each person I meet, I am reminded of God’s involvement in all of life. Each of my interests from kayaking to reading to travel also points to that involvement. I am especially touched by floating with the loons in my kayak. The loons are God’s amazing creations and gazing into the clear water of the lake reminds me of my own transparency to God. Diane is available for spiritual direction in person and by phone.